If you’ve been as interested in I2P as we have or if you’ve been wondering what alternatives to Tor exist out there, we’re happy to present the answer to your questions with I2PCon. The I2P team has been working tirelessly around the clock setting up details for coming to Toronto. Needless to say, we are completely honored that this revolutionary darknet technology decided that Toronto is the place to host their conference and we couldn’t be more excited to be a part of this! #I2PCon will be a two day, FREE conference on August 15-16 with members of our team presenting CryptoParty style workstations on Day 1 and a superb line-up of speakers on both days. The itinerary is listed here and you really should reserve your spot at the event! Subscribe to future I2P details here. We’ll see you at the conference. 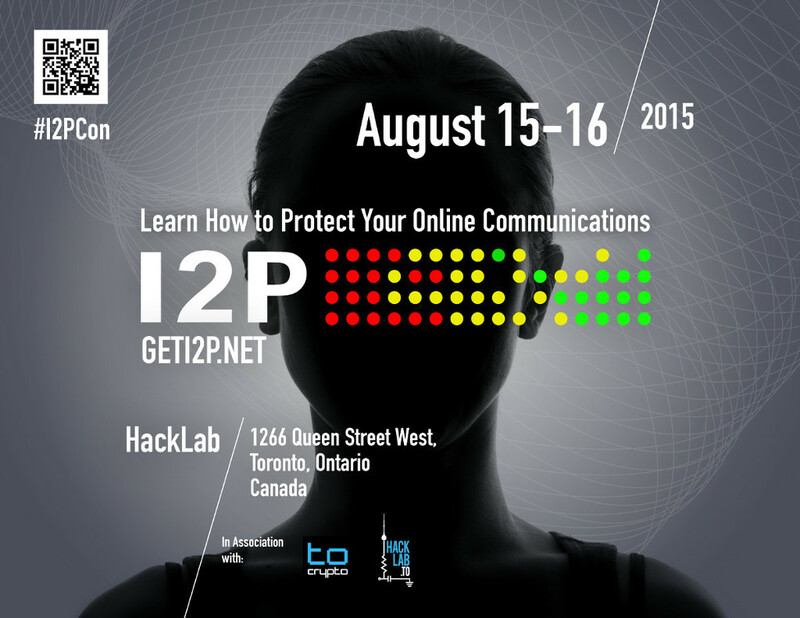 Remember to donate to Hacklab and I2P while there!